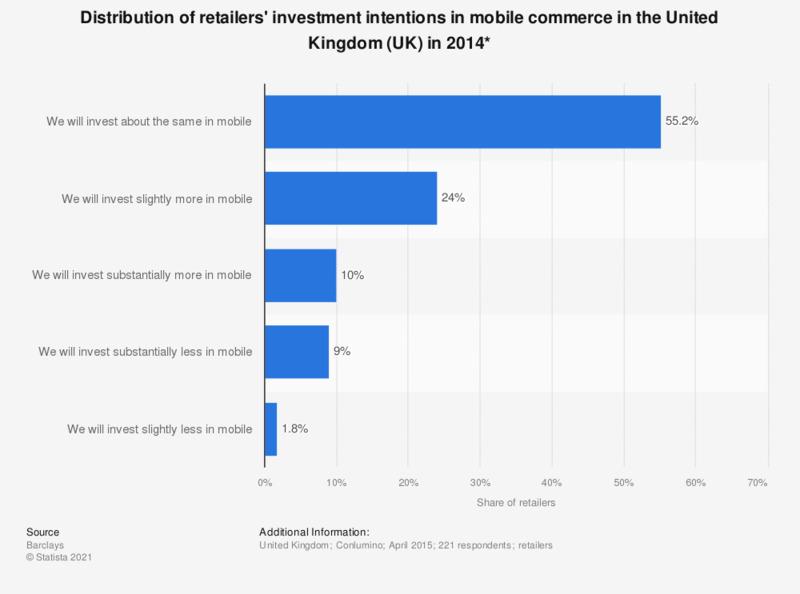 This statistic displays the distribution of retailers' investment intentions in mobile commerce in the United Kingdom (UK) in 2014. In 2014, 24 percent of responding retailers reported intending to invest slightly more in the forthcoming five years in comparison to current investment levels. * According to the source: investment plans "(...) in the next five years, in comparison to current investment."